When anniversaries sweep in, you seek out tokens of love and celebration to bring out the brightest smile on your loved one’s face. These tokens become special when they are customized as per your needs and are presented as heartfelt presents to your near and dear ones. With FlowerAura, choose anniversary personalise gifts. Every year brings this special day to us and with each year passing by, we need to go an extra mile to make our better half fall in love again and reignite the sparks of the marriage bond with heartfelt presents of true love and feelings. No matter how far or close they are, the day arrives to reach out to their heart and make it beat faster with personalised wedding anniversary gifts from FlowerAura. Whether it’s your wedding anniversary or someone really close to you is about to mark the twenty-fifth milestone, FlowerAura offers a range of personalized wedding anniversary greetings that are perfect for commemorating their special day in style. These are available in a wide range starting from sentimental gifts such as flowers, customised coffee mugs to personalized photo key rings, FlowerAura makes sure to present you a wide array of gifts that not only suits the occasion but also, your budget. These gifts are personalized in accordance to the occasion and one can send personalised anniversary gifts online with the express delivery service featured exclusively by FlowerAura. Whether it’s their silver, gold or diamond anniversary, your parents deserve a grand celebration when it comes to their wedding anniversaries. You can always begin by decorating their bedroom with floral arrangements, elegant bouquets and gift them a romantic bunch that would put a smile on their face. 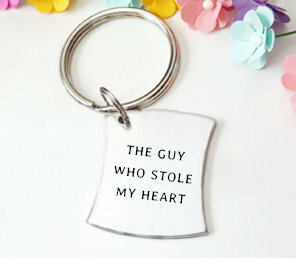 And just when they begin to think this is it, you present them a couple set of key rings as a token of love and appreciation and remind each one of them as to how much they mean to you. You can also go an extra mile and serve them a beautiful breakfast in bed with customized anniversary coffee mugs, and bind them in the sweetest symphony with delicious fondant cakes. He has been there as a boyfriend, as your husband and your one and only soulmate. He has always supported you and has taken you to cloud nine with his thoughtful gestures. Well, as your anniversary is around the corner, you can be thoughtful too and convey your thanks for all the amazing years with anniversary gifts from FlowerAura. You can send mugs online, improvise his side of the bed with a personalized photo cushion, and take him on a love ride with heavenly bites of a delicious photo cake. Anniversaries remind a couple of their forever reunion and to others, it reminds them to convert the occasion into the biggest celebration of their lives. And to do so, you can go overboard with the anniversary gift ideas and along with it, send precious personalized anniversary gifts with the same day delivery services exclusively offered by FlowerAura. To begin with, all you need to do is, pick a personalized gift of your choice from FlowerAura and send personalised cushions online to the city, they are currently residing in. These gifts are sure to sweep them off their feet and there’s a hidden surprise for you too, you get to enjoy free shipping on every order you make.